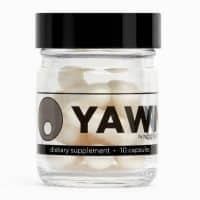 In todays interview I get to speak with nootropic supplements expert, Geoffrey Woo from HVMN, asking is it safe to use nootropic supplements daily & the benefits of fasting each week. Geoffrey is the CEO & a co-founder of the US nootropic supplement company called HVMN (formerly known as Nootrobox). Geoffrey shares some of his top tips on how to be a biohacker & how to handle the pressures of working Silicon Valley. If you like learning about smart drugs and intermittent fasting for fixing health problems, then you’ll like this interview. I also discuss with Geoffrey about some of his n=1 quantified self experiments, like how he is currently wearing an implanted glucose monitor so he can get a blood glucose levels reading at any time without pricking his fingers. 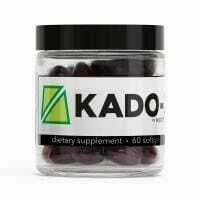 Nootropic for memory that you can take as a daily brain supplement. Omega 3 oil nootropic stack made with fish & krill oil to get the optimised DHA:EPA ratio. Nootropic for focus to help you improve your cognition to feel alert when you need it. Nootropic for sleep to help you fall alseep & improve the phases of your sleep. Chewable coffee made of pectin with 50mg caffeine + L-Theanine in each cube. Special thanks to Geoffrey for joining me on the show. Enjoy the episode! Go to the HVMN website here to find out more on the different nootropics to buy from HVMN, follow Geoffrey on Twitter or join the private Facebook group for extra support on any fasting questions you might have. 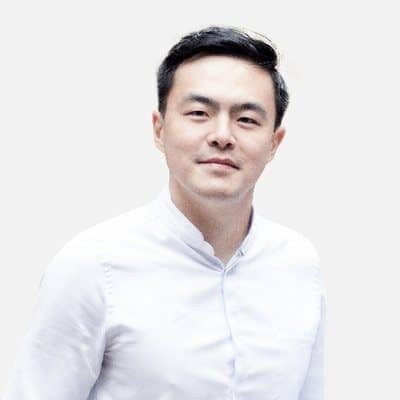 [0:20] – Introducing Geoffrey Woo, co-founder and CEO Nootrobox (now known as HVMN), a nootropic supplements & biohacking technology company based San Francisco, USA. [0:51] – Our previous guest Dr. Brianna Stubbs is on the medical advisory panel at Nootrobox. [1:32] – How the concept behind the company started. Geoff talks about his journey, from selling his first company, to figuring out ways of enhancing himself, to developing a growing interest in biohacking and trying to sift through all the snake oil claims to finding the real science behind things that really work. [4:11] – How wanting safe, high-quality nootropics for himself paved the way for Nootrobox. [4:53] – Geoff initially put together a quick website to gauge interest which quickly led to paying customers. [5:38] – Talking about Silicon Valley’s high-risk tolerance, start-ups and putting yourself out there. [7:03] – High quality of ingredients, and how Nootrobox came up with their formulas for their different products. How they created their first stack RISE (the formula changed since its first inception). Using the best data available from scientific studies to inform their ingredient lists; taking what’s popular with hobbyist and what checked out with clinical research and combining it in a synergistic way. [10:13] – Going to the market and listening to customer feedback. What specific needs they had and wanted help with? Geoff explains how they created a working relationship with their customers to create best possible products. [11:09] – RISE is a chronic daily nootropic. So, what does this mean exactly? 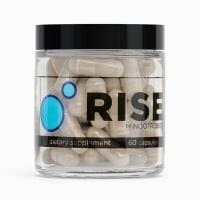 RISE is a product that is safe to take long-term; in fact, for most profound effects Nootrobox recommends taking RISE consistently over the long-term. Talking about Nootrobox’s original goal to take natural chemical compounds to make yourself smarter by enhancing your brain’s pathways. [11:53] – Geoff discusses cycling different protocols. Do we need to cycle RISE in anyway? We can incorporate some cycling usage behaviour, but because all the compound used are FDA generally regarded as safe it’s safe to use chronically. [12:27] – Discussing the regulatory status for different substances consumed by individuals for enhancement purposes. Geoff explains more about this and why he believes we need to re-think the way we categorise these compounds; new regulation will be needed in the future. [13:58] – Are nootropic safe for athletes or are they seen as a banned substance? Geoff explains that nootropic is an umbrella term covering a whole spectrum of compounds, so this would depend on the exact compound. Certain subsets of nootropics are considered doping. [15:14] – A lot of athletes require an official organisational stamp, this is something Nootrobox is working on; informed sport/informed choice/NSF certifications. Currently they do testing for heavy metals, purity and microbiological contamination; publishing their certificates of analysis open-source for each batch on GitHub. [16:18] – How making information available to consumer builds confidence and trust. The propensity of using proprietary blends in the industry; information is kept from the consumer and ineffective doses of ingredients are used. Consumers need to be aware of exactly what they are putting into their body. [18:09] – As biohackers using the n=1 experimentation, knowing exactly what we are getting is paramount when sourcing our substances. [18:30] – Talking about potential side-effects one needs to be aware of with Nootrobox nootropics. For those sensitive to caffeine be aware that the SPRINT stack does contains caffeine. In general, there does not seem to be any serious adverse reactions. This seems to be the benefit of using natural nootropics vs the pharmaceutical ones. [19:18] – Geoff explains how regulation and effectiveness is not necessarily correlated. What’s important is looking at the data of how things work and keeping to the regulations and performing safety testing. [20:33] – What are the best ways to take Nootrobox nootropics. Geoff gives us some guidelines around this: RISE and KADO-3 first thing in the morning with a tall glass of water, SPRINT early afternoon or late morning with your tea/coffee, YAWN is great for jet-lag. People do experiment with different ratios i.e. 2-3 pills. [21:54] – Geoff is a big proponent of fasting, at Nootrobox they do a weekly fast as a company. The story behind this weekly ritual. How Dr. Sandrine Thuret’s TED talk and the compelling data showing how fasting can increase neuron growth and be beneficial for increasing longevity convinced them to give it a try. Now they have a community, WeFa.st Slack Group or Facebook group (which anyone can join), with almost 10,000 members. [25:50] – When fasting do we need to have done a few episodes of fasting or is it fasting more days in a row that makes us feel mentally different? It’s both – Geoff explains how our bodies take time to adapt to using ketosis because we typical use glucose as fuel and how a longer fast elevate ketone levels more. [27:52] – In the YouTube video we see Geoff swipe a device over his arm to get his blood glucose reading. He explains he is wearing a quasi-implant, the FreeStyle Libre medical device, a little disc which is essentially a needle penetrating his skin and sampling his blood. Geoff wears this two weeks at a time to help him understand, control and manipulate blood glucose levels. [29:29] – Geoff tells us some more about how his ketone numbers change over different periods of fasting and what effect having a higher ketone numbers has. [30:48] – How fasting is becoming popular in Silicon Valley. Phil Libin, former CEO of Evernote, made the news recently having lost a tonne of weight by fasting. How Nootrobox, helped contribute to an increase awareness and spread this idea around Silicon Valley. [31:40] – When looking at data we can see how in the first-world countries like the UK and US cases of people with metabolic syndrome (obesity, diabetes, Alzheimer’s) have sky-rocketed probably due to long-term overconsumption. [31:58] – An analogy using exercise. Geoff explains how, as labour became more intellectual and less physical the need to reinstall physical exercise into our routine became important. Why Geoff believes fasting will need to be reinstalled into our routine just like exercise was. Food has become readily available in today’s society, and we do not experience the same feast and famine cycles. 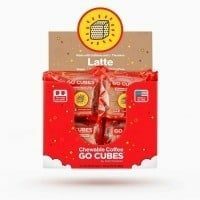 [34:10] – Talking about coffee, what is the story behind GO CUBES? The idea to re-engineer coffee to become a better productivity agent. Talking about the main benefits including portability, exact dosing and having other nootropics including. As biohackers we know the exacts dose of active compounds. Why biohacking will become mainstream in the next five years or so. Will everyone will be biohacking? [38:23] – When sourcing coffee beans are mycotoxins a concern? Geoff talks about his research into this issue, the Joe Rogan and Dave Asprey debate and why he encourages people look at the literature and make a decision for themselves. [39:40] – To find out more about the company and their biohacking supplements go to their website at nootrobox.com hvmn.com or Google them as they appear all over different social media. The fasting group WeFa.st is also a great way to connect to their community.